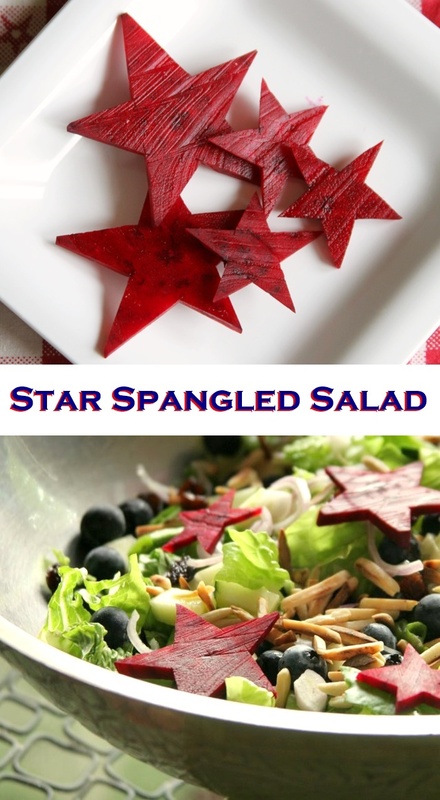 Star Spangled Salad Recipe: Festive, Easy & Healthy! You are at:Home»Dairy-Free Recipes»Star Spangled Salad: Easy, Versatile & Healthy! Star Spangled Salad: Easy, Versatile & Healthy! This amazingly versatile and nutritious star spangled salad recipe was shared with us years ago by my good friend Hallie Klecker. 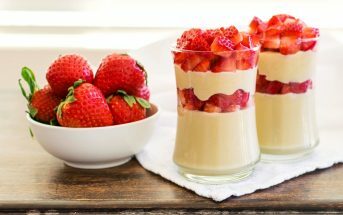 It’s a timeless and fun creation that was buried in our news, so we’re moving it to our recipe section today and sharing it for your 4th of July festivities! As the Content Manager for Simply Gluten Free, Hallie has a love for the whimsical ideas that pop up around the holidays in magazines. Fourth of July is her second favorite holiday, next to Thanksgiving, so she waits all year for the July issue, eager to flip through the pages of festive table decor ideas, summery recipes, and gorgeous photographs. Naturally, with all of that inspiration, Hallie comes up with some of her own brilliant ideas, like this Star Spangled Salad – perfect for Independence Day! This recipe is so easy to make as the beets slice up perfectly when they’re raw. They also add color, crunch and conversation to the salad.In fact, I wouldn’t hesitate to serve this star spangled salad all summer long, perhaps using different decorative cookie cutters to fit the occasion. This is a flexible recipe in terms of add-ins, but the star spangled salad pictured here has mixed lettuces from the farmers’ market, sugar snap peas, shallots, raisins, blueberries, and toasted slivered almonds. It’s drizzled with a simple vinaigrette. 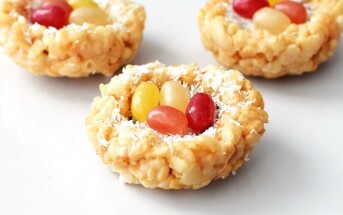 By ingredients, this recipe is optionally dairy-free / non-dairy, egg-free, gluten-free, grain-free, nut-free, peanut-free, soy-free, vegan / plant-based, vegetarian, paleo, and generally top food allergy-friendly. It all depends on the ingredients and dressing you choose! For the dressing on this star spangled salad, some great store-bought options include Follow Your Heart’s Creamy Dressings (the white adds even more festive contrast!) and Organicville’s Flavorful Vinaigrettes. For homemade, try a Lively Lemon Vinaigrette or Spa Salad Vinaigrette. Toss the greens, vegetables, dried fruit and nuts or seeds together in a large serving bowl. Use a sharp star cookie cutter to cut stars out of the beet slices. If you don’t have one, trace a star onto a sheet of parchment or waxed paper and cut it out. Place the template on the beet slices and use a sharp paring knife to cut around the template and form the star. 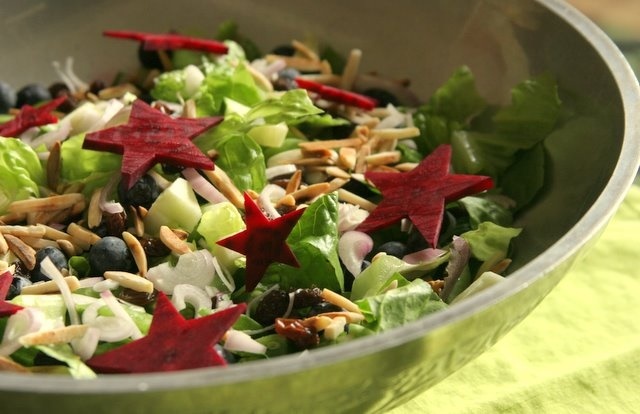 Arrange the stars atop your salad mixture. 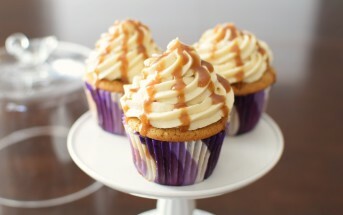 Serve with the salad dressing or vinaigrette on the side.